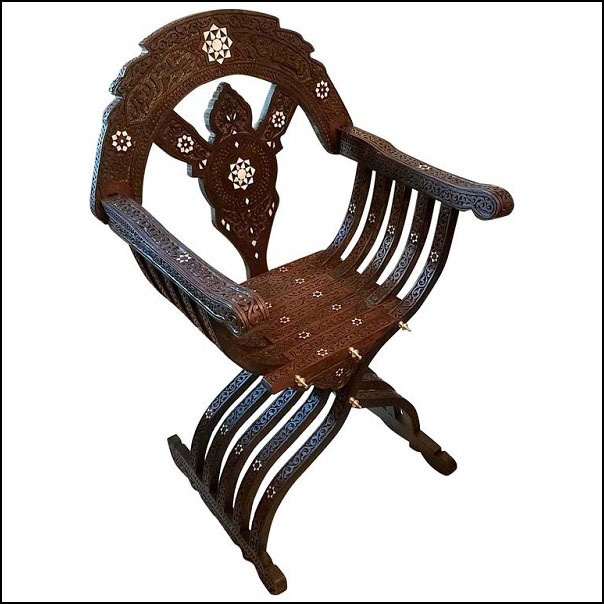 Very charming folding style Syrian chair hand-carved throughout with the most beautiful and intricate details of mother-of-pearl on solid walnut wood. Will be perfect as an accent piece for a dressing area, a power room, a bedroom or a living room. Please contact us for a shipping quote, or for more pictures.